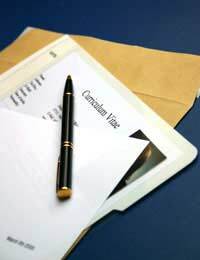 Though every résumé or curriculum vitae (CV) is unique, many use similar words and phrases to grab the attention of the reader. Here, we explore a few widespread terms you might want to incorporate into your own CV. These verbs are all active; hence, you'll find them used throughout many CVs. In fact, some might consider them to be a bit overused at times, so it's important to include them judiciously. For example, you don't want to state that you "spearheaded" every single accomplishment you list in your summary of qualifications or job highlights. However, it's fine to use the term once for a project that a) you really did have total guidance over; and b) had an impressive outcome. If you run out of action verbs, check the thesaurus or think of another way to phrase your achievements rather than repeat yourself. "Estate Agent with over a decade of experience selling luxury homes is seeking a position with an established Estate Agents specialising in apartments and vacation properties." "managed a team of twenty-seven sales professionals over a two-year period…"
"managed a multi-million pound generating department…"
"managed a series of fifteen projects from implementation to completion…"
Again, this will indicate to the person reading your CV that you are well-suited for any job that requires independent thinking and an entrepreneurial sensibility. "increased sales/profits/customers by…"It's important to include numerical measures of your success everywhere possible throughout your CV. Thus, if you're able to use this term in a sentence, it will enable you to plug in percentages, amounts, or other figures; in turn, these will (hopefully!) impress the recipient of your CV. Many employers like to see that you're a "go-getter"; add this phrase, and you'll be showing that you haven't just sat around collecting a paycheque. They'll see that you were active in becoming an "expert" in your area. For example, if you're a personnel department staff person who has been attending courses toward a certification in the field of human resources, this shows a prospective employer that you expect to remain in the field. Hence, they might have a higher comfort level considering you for an interview because they can see you're serious about your future. Too many people overlook this phrase; that's too bad, because it can be a real winner in a CV. No matter what your status, it speaks loudly. Whether you're looking for a job as a secretary or a CFO, you need to show that you've been given some responsibility by former employers. Even if you've never held a job before, you may want to use this term to describe a volunteer position you held in a nonprofit organisation or with a university group (yes, Greek societies count!) It demonstrates that someone else trusted you to get the job done right, consequently encouraging the reader(s) of your CV to put a little faith in you as well. Remember - it isn't just about what you say. It's about how you say it. Choose your words carefully; after all, your CV isn't a novel. You need to be succinct, but being concise doesn't have to mean becoming bland. Use terms and words that are eye-catching and indicative of your expertise and better your chances of hearing back from your CV targets.